Kroger Shoppers, its FREEBIE Friday. 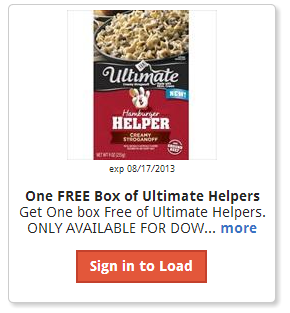 Hurry over and score your FREE Box of Ultimate Hamburger Helper. Please note that today ONLY (August 2nd) you can load the coupon onto your Kroger card. However, you'll have until August 17th to pick up your FREEBIE!